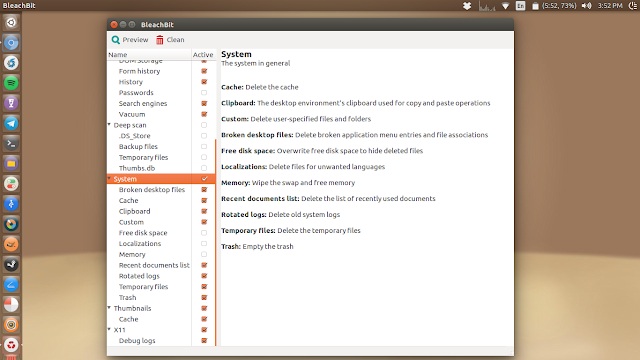 BleachBit is a free and open-source disk space cleaner, privacy manager, and computer system optimizer. Add localization codes (thanks to Tristan Stenner). Add .rpm installation package for Fedora 22. 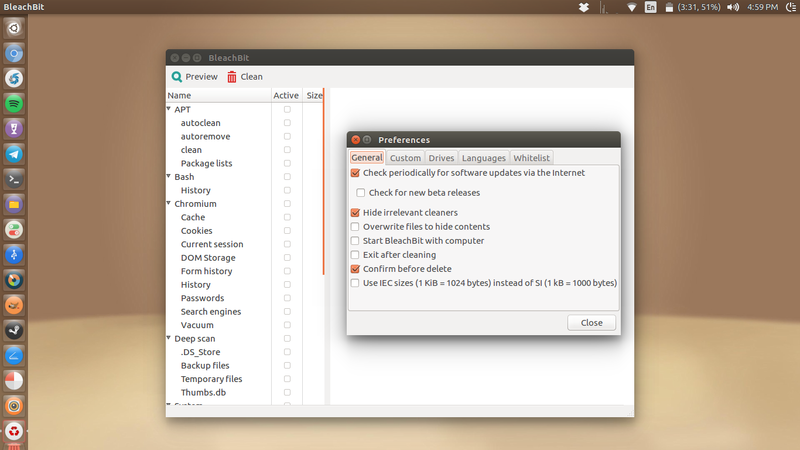 Fix memory cleaning on Ubuntu 15.10 and other distributions (reported by Richard Pearse). Fix harmless error that localizations.xml is unusable (thanks to Tristan Stenner). Do not show localizations at the base level (reported by BBUser). Do not show Windows Explorer cleaner on Linux (reported by Tomás F. L.). Fulfill Fedora license file location change. Do not delete xauth under KDE (reported by mike). 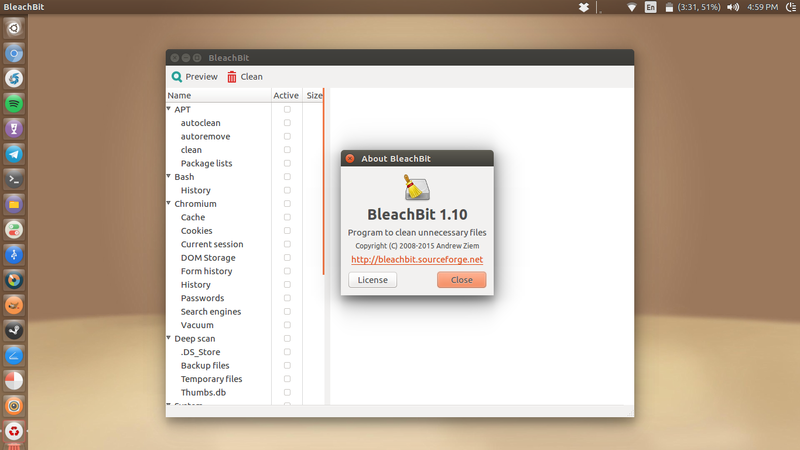 Remove deprecated key encoding in bleachbit.desktop. Drop support for Mandriva, which is dead. Do not show cleaner is unusable message in the console (except when debug mode is enabled or in non-final releases). For a more up to date version (1.10) download the .deb file from here . 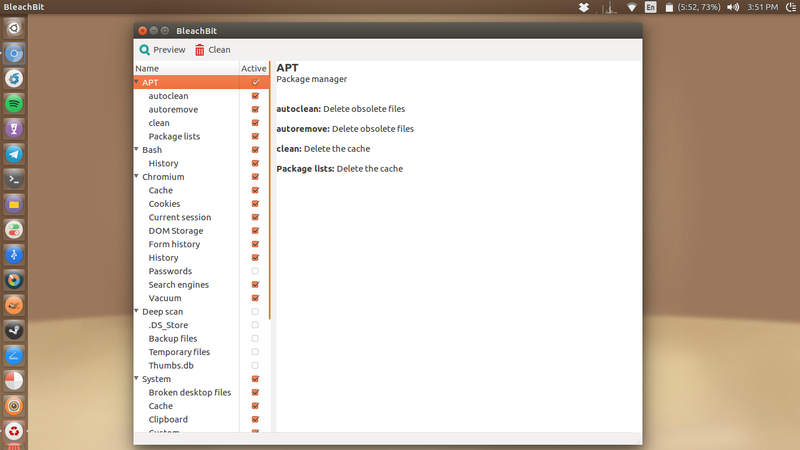 The file can be installed by navigating to its location -> right click - > Open With -> Gdebi Package Installer -> Install .